READING MUSIC - by Mike Donovan Do you read music? Now, before you start running the other direction, please hear me out. I’ve noticed through the years that, for various reasons, many drummers and even some other instrumentalists prefer not to learn how to read. They either think that it will take too long or that it will be inevitably too hard. Folks, it’s not really that bad. I repeat, “IT’S NOT THAT BAD”! Shoot, compared to learning a foreign language or something, it’s a walk in the park! In 1996, I wanted to come off the road. I knew that this might possibly mean stepping back into the “real world” job-wise so I taught myself to type in preparation for a "decent" job in the workplace. I knew that computers were now dominant in our society and if I was going to compete, I’d better learn to do something more than ‘hunt and peck’. I now, 6 years later, type 683,000 words per minute (or something like that). So you say, .. "Hey, 'I hunt and peck' and I have a job at Microsoft as 'Systems Analyst IT Engineer blah, blah,..'. Well OK, so it does happen that some real smart people make out just fine 'hunting and pecking'. But let's step back into the music world for a minute. Can you imagine yourself at a Dave Mathews Band audition and they throw a chart in front of you to read? What will you do, ask them if they have it in 'tab' format? I say, "Learn to Read”. Don’t get caught up in that crap about.. “Well, Buddy Rich didn’t read…" or "Dennis doesn’t read…” etc. It’s a cop-out! Those guys are (were) exceptions to the rule. You need to have a firm understanding of basic rhythmic and harmonic theory to compete in this highly competitive field. You can’t afford to be second best. You must have all your bases covered because if you don't, there are 50 other drummers standing by ready to take your place. (Actually, there are 500 drummers standing by ready to take your place.) :) Why not be "great" at playing drums rather than "mediocre". It's so much more fulfilling. Reading will give you the tools to get to that next level. You'll not only have a better understanding of what you're playing but you'll be able to execute this knowledge into a better performance overall. Consider signing up with a private teacher and letting them help you learn how to read. You can also buy drum videos that will help. Once you get the ball off the ground and rolling, it’s not really that bad. It just takes a little bit of courage and determination to get started and, with a little stick-to-itiveness, you’ll be reading in no time. I promise. 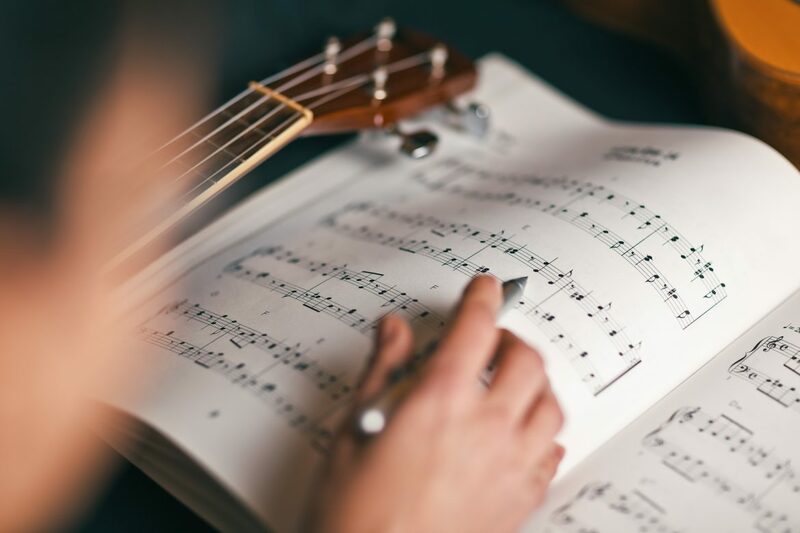 Music Gifts for Musicians 10 Reasons You Should Learn to Read Music It builds confidence in your ability and allows you to 'understand' what you're playing. You'll be able to teach yourself anything out of a book or magazine ..anytime, anywhere. You can supplement your income by teaching others. There are great gigs to be had out there but some of them require that you read at least a little bit. You can communicate intelligently with other musicians using standardized musical language. When learning new songs, you can write out drum charts for yourself quickly and more efficiently. This saves valuable time. You can program sequencers in step mode. It is easier to learn musical concepts as well as other instruments with a fundamental knowledge of basic theory. Most studio work, show work and more challenging styles such as jazz and fusion, require reading. You'll find that many higher caliber players read music. This may give you an opportunity to play on their level.